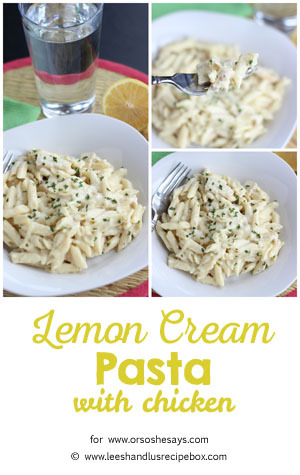 Our sister-in-law, Whitney just shared a bunch of awesome recipes with us, and this Lemon Cream Pasta was one of them. 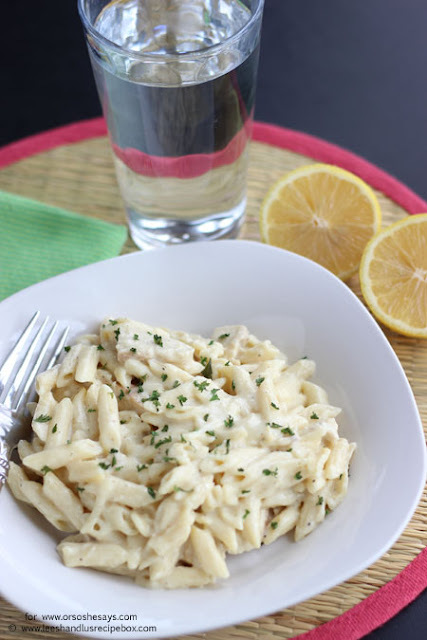 We loved it for several reasons--it was quick, easy, kid-friendly, and the leftovers reheated perfectly. We added Chicken to it to make it a meal--and a one-pot meal at that! We're sharing the recipe at Or So She Says, so head there for the full recipe and printable.